Home Computer Buying Where to buy a Thermal or POS printer in Davao City? Where to buy a Thermal or POS printer in Davao City? Rasi Computers and Computer World offers a Thermal Printer unit but in order basis. 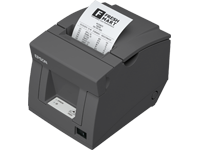 Thermal Printer would cost more or less PhP 7,000 it depends on the model(Epson is the most popular.